Julia F. Andrews, a specialist in Chinese art, was the first American art historian to conduct dissertation research in China after formal establishment of US-China relations in 1979. 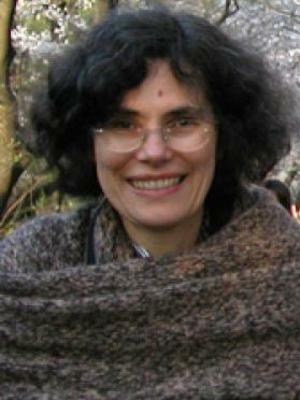 Her first book, Painters and Politics in the People's Republic of China, 1949-1979 (University of California Press,1994), which she wrote during her early years at Ohio State, won the Joseph Levenson Prize of the Association for Asian Studies (AAS) for the best book of the year on modern China. Her more recent book, Art of Modern China (co-authored with Kuiyi Shen), published by the University of California Press, 2012, received the biennial Humanities Book Prize of the International Convention of Asia Scholars (ICAS) in 2013. In addition to teaching and writing, from time to time she curates an exhibition, and frequently contributes to exhibition catalogues. Most recently she co-curated Light Before Dawn: Unofficial Chinese Art, 1974-1985, at the Asia Society, Hong Kong Center (May 15-Sept. 1, 2013). She conceived one of the first American exhibitions of contemporary Chinese art, Fragmented Memory: The Chinese Avant-Garde in Exile, at OSU's Wexner Center for the Arts in 1993, and the Guggenheim Museum's ground-breaking 1998 exhibition, A Century in Crisis: Modernity and Tradition in the Art of Twentieth Century China, shown in New York and Bilbao. Among her other projects have been “Pictorial Shanghai (Shanghai huabao, 1925-1933) and Creation of Shanghai’s Modern Visual Culture,” forthcoming in Journal of Art Studies (Taiwan), “Japanese Oil Paintings in the First Chinese National Fine Arts Exhibition of 1929 and the Development of Asian Modernism,” in Joshua Fogel, ed. Role of Japan in Modern Chinese Art (Berkeley, 2012); Blooming in the Shadows: Unofficial Chinese Art, 1974-1985 (New York: China Institute, 2011); “The Art of Revolutionary Romanticism, 1949-1965,” in Chinese Art in an Age of Revolution: Fu Baoshi (1904-1965), Anita Chung, ed. (Yale/Cleveland Museum of Art, 2011); “The Art of the Cultural Revolution,” in Richard King, ed. Art in Turmoil: The Chinese Cultural Revolution, 1966-1976 (Vancouver, 2010); “Art Under Mao, ‘Cai Guoqiang’s Maksimov Collection’ and China’s Twentieth Century,” in Josh Yiu, ed. Writing Modern Chinese Art (Seattle Art Museum, 2009); “Post-Mao, Post-Modern,” in Julia White, ed. Mahjong: Art, Film, and Change in China (Berkeley Art Museum, 2008); Chinese Painting on the Eve of the Communist Revolution: Chang Shu-chi and his Collection (Stanford, 2006); Schudy [Qiu Ti] (Nanjing, 2006); Sanyu, l'ecriture du corps (Paris: Museé Guimet, 2004); Between the Thunder and the Rain: Chinese Paintings from the Opium Wars to the Cultural Revolution, 1840–1979 (San Francisco, 2000); Word and Meaning: Six Contemporary Chinese Artists (Buffalo, 2000); and in 1997, an exhibition of original drawings from Shanghai People's Art Publishing House, Literature in Line: Lianhuanhua from China held at OSU's Cartoon Research Library. She teaches undergraduate courses on Chinese and Japanese art and has led several study abroad programs in China. Her graduate seminars often focus on topics in Chinese painting or modern Chinese art; her graduate students’ theses span topics in the arts of China, Taiwan, and Japan from the seventeenth through the twentieth centuries.